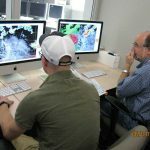 The Hazardous Weather Testbed Spring Forecast Experiment was in full operation on May 20, 2013 as the tornado tore through Newcastle and Moore, OK. 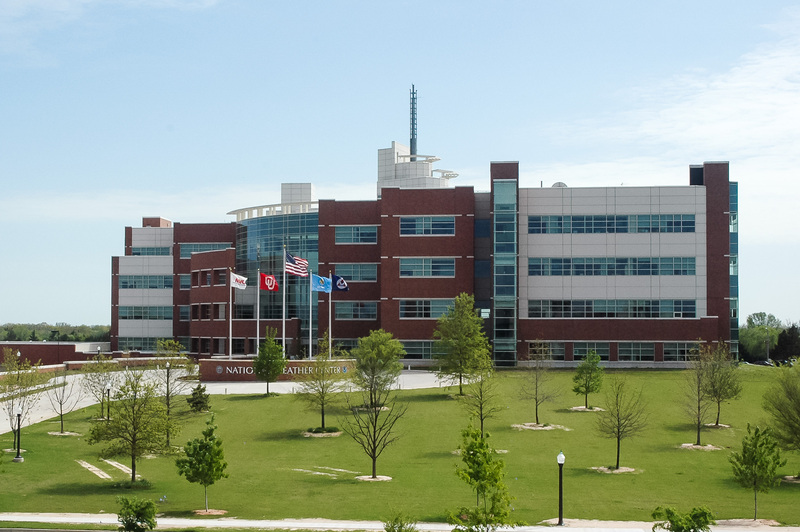 Visiting forecasters and researchers were working with state-of-the art convection allowing experimental modeling systems. They also issued experimental outlook-type forecasts that included areas and probabilities of severe weather over shorter time periods than current operational products. Forecasts generated by the participants were used in real-time to support decisions made for experimental warning operations. New this year, the UK Met Office was testing their modeling system over the U.S. where there is more severe weather. NSSL’s Mesoscale Ensemble is an experimental analysis and short-range ensemble forecast system. These forecasts are designed to be used by forecasters as a 3-D hourly analysis of the environment, a very important tool in the severe weather process. Each panel shows ensemble mean 1 hour forecasts valid at 3pm CDT, the time of the tornado. The Significant Tornado Parameter (bottom right) with values > 1 have been shown to discriminate supercells that do and don’t produce significant tornadoes. This field highlighted the storm over Moore more so than the storms further south with values > 1 shaded in red. Composite reflectivity from NSSL’s National Mosaic and Quantitative precipitation estimation (NMQ) is overlayed to show where the storms actually formed. The left panel shows NSSL’s mid-level rotation tracks derived from WSR-88D radar from 1 to 4 pm. The human-generated experimental forecast for severe weather at 12pm, valid from 1 to 4pm on May 20th is overlayed. They used brown, red, and purple lines to enclose areas that were estimated to have a 5%, 15%, and 30% chance of severe weather within 25 miles of a point during the 3-hour period. The black line outlines an area that was estimated to have a 10% or greater chance of significant severe weather, also within 25 miles of a point. Along with the same human-generated forecast, the right panel shows areas of significant mid-level rotation valid from 1 to 4pm from three different convection allowing model forecasts. The models are the NSSL WRF-ARW model, a parallel version of this model initialized from the NSSL mesoscale ensemble, and a model provided by the United Kingdom Met Office for the Spring Forecasting Experiment run over the CONUS on a domain with 2.2 km grid spacing.